Problem: Hospitals and imaging clinics around the world need to convert their non-DICOM medical modalities to DICOM. Upgrading or replacing these modalities is too expensive, often costing hundreds of thousands of dollars. PACS is a large enough expense in and of itself. Replacing all of the non-DICOM devices for PACS connectivity purposes is simply not cost-effective. Solution: TIMS DICOM System, your digital imaging medical system. 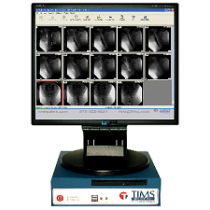 TIMS converts any non-DICOM medical modality to DICOM. The resulting digital study can be sent to PACS, recorded to CD/DVD/USB, and printed to film or paper. TIMS is available for a small fraction of the cost of a modality upgrade. TIMS Factory Support & Maintenance is available.